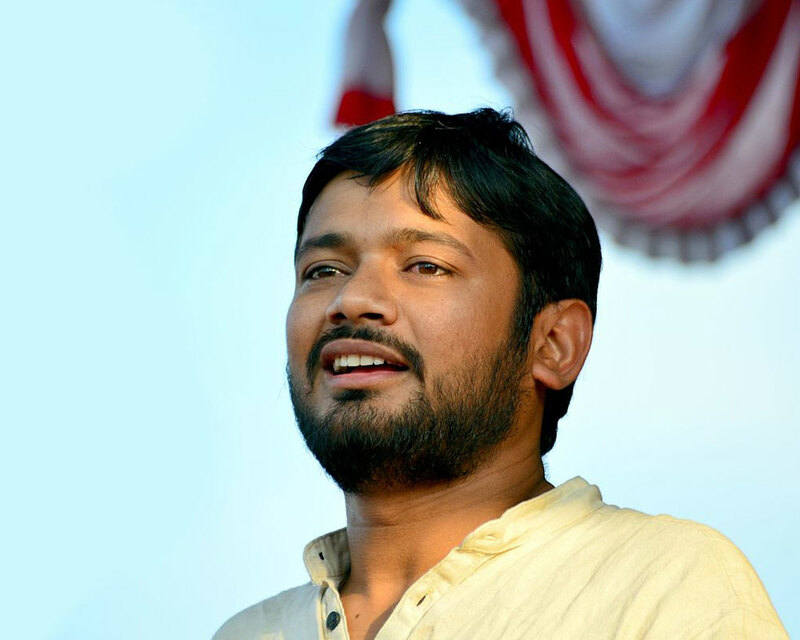 The Delhi Police Monday filed its charge sheet against former Jawaharlal Nehru University Students' Union (JNUSU) president Kanhaiya Kumar and others in a sedition case lodged in 2016. The Delhi Police also charged former students -- Umar Khalid and Anirban Bhattacharya -- for allegedly shouting anti-India slogans during an event organised on JNU campus on February 9, 2016 to commemorate the hanging of Parliament-attack mastermind Afzal Guru. Others charged in the case are Aquib Hussain, Mujeeb Hussain, Muneeb Hussain, Umar Gul, Rayeea Rassol, Bashir Bhat and Basharat. Metropolitan Magistrate Sumit Anand put up the charge sheet for consideration before a court on Tuesday. The police alleged that Kanhaiya was inciting, being part of the mob shouting anti-India slogan. A case was registered on February 11, 2016 under Sections of 124 A (sedition) and 120B (criminal conspiracy) of the IPC against unknown persons at Vasant Kunj (North) police station following complaints by BJP MP Maheish Girri and the ABVP. The February 9 event happened despite the varsity administration having cancelled the permission following a complaint by the ABVP, who had termed it as "anti-national".